4 tickets section 104, Row LL for remainder of SEC Tourney..
I’ve got 4 aisle tickets just 10 rows off court level for Fri, Sat, & Sun of the tournament. Selling all of it for $1,400 each, or can sell separately if you like? Friday nights session alone are going for $500 each for good seats. I’m in Nashville now and can meet up Friday morning if interested? Feel free to text Jeff at 573-529-0616 if your looking for some of the best seats available. If the Vols meet Kentucky Saturday, it will be an impossible ticket to get with all the Kentucky fans. I’d rather my Vols get the tickets! That is an insane price! Besides, Bama has already beat UK once and can do it again. I hope! It isn't because I don't want the Vols to beat UK again. I do. But, ticket prices will be less than face value should UK lose. That will send about 10,000 big blue fans home early. I HOPE IT HAPPENS for TICKET PRICES!!! 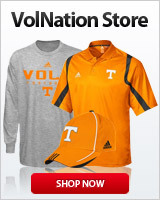 I want to go Sunday to watch the VOLS win the SEC Tourney, hopefully against LSU!!! ALSO, lowers for Friday night session can be bought for low 300s right now on StubHub as I type this, as good or better than your seats! You are close to $200 off on your statement about good seats going for $500, some are, most aren't, nice try!!! You are probably a big boo fan that paid too much and trying to get your money back after seeing what the scalpers have been getting. They won't even get StubHub prices!!! BOOK IT!!!!!!! Now, take your lame azz back to the bluegrass state or take your big boo shirt wearing self back to Mizz!! !